There are a myriad of tea tree oil benefits in today’s society. Everything from acne treatments to clearing the air. 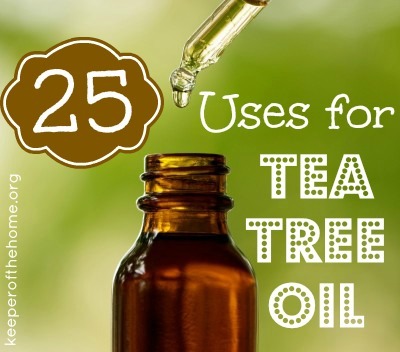 Tea tree oil is a necessity in one’s arsenal of natural medicinal products. Pure tea tree oil has a clear or pale yellow appearance with a fresh, clean medicinal aroma. It is extracted by steam distillation from the twigs and leaves of the Australian shrub Melaleuca Alternifolia and has the same consistence with water. The use of tea tree oil as an antiseptic has been proven to be ten times more powerful that carbolic acid. However, pure tea tree oil is non-irritating and non-toxic to the skin. Knowing about tea tree oil benefits and uses will surely be a great addition to your knowledge on how to treat medical problems naturally. Native Australians were the ones who first discovered the benefits of the tea tree when they began harvesting the leaves for its medicinal use. The products of tea tree oil are now in demand because extensive scientific researches for the past years have concluded that tea tree oil is indeed an effective anti-bacterial and anti-septic. Tea tree essential oil is also a good parasiticide and insect repellent that can be used to get rid of head louse and fleas. Tea tree oil is non-toxic and generally non-irritating. It can be used even for those people with sensitive skin. A simple note: Tea tree oil should be mixed in low dilutions. Always remember that tea tree oil should never be taken internally. In What Way Can Tea Tree Oil be Used? Tea tree oil benefits include alleviating medical problems and is now accepted worldwide as a herbal cure for a wide range of medical conditions. There are lots of tea tree oil products that are now available for home and first aid remedies. Did you know that tea tree is one of the only two essential oils (lavender being the other) that can be used pure on the skin by applying one to two drops on cuts, insect bites, blisters, stings, and embarrassing skin problems such as shingles, cold sores, verrucae, chickenpox lesions, etc. For people suffering from debilitating or prolonged illness, a mixture of 3-6 drops of tea tree oil in 2 teaspoons of vegetable oil can be used for a massage that can revive and stimulate the senses. To prevent airborne bacteria from spreading, especially during epidemics, you can vaporize 8 drops of tea tree oil in a burner. You can also mix about 20 drops of tea tree oil with 200 ml of water and then transfer the mixture in a plant sprayer. Spray the mixture into the air. Tea tree oil can also be mixed with eucalyptus and peppermint oils to give an effective method of relaxing and opening the airways during catarrh, respiratory infections, or flu. You can also add 5 drops of oil to a bowl of hot water and then make a “towel tent” over your head and inhale the steam emitted. To soother tired feet, you simply add 3-5 drops of tea tree oil to a basin of warm water and soak your feet for 15 minutes daily. You can follow up with an application of tea tree lotion or antiseptic cream. Suffering from bad breath? Make up your very own mouthwash by diluting 3-5 drops of tea tree oil in a teaspoon of brandy. Transfer the mixture in a glass filled with water and swish around the mouth for 3 minutes. Do not swallow the mouthwash. Dilute 2 drops of tea tree oil in Â½ pint of water. Brush your pet’s fur in the opposite direction while spraying the inner coat with the mixture. Work in a direction from the tail going towards the head. Remember to avoid the eyes and ears. Don’t use tea tree oil in cats. You can make your very own anti-bacterial kitchen spray by mixing 60 drops of tea tree oil to 500 ml of water. Transfer the mixture in a sprayer. Do not use this mixture in polished wood surfaces as this may ruin the surface. You can remove chewing gum from clothing, furniture, or hair by applying pure tea tree essential oil on the affected area. Leave it for 5 minutes before trying to remove the gum. There are some soaps out there that contain 100% pure tea tree oil. These are soaps that have effective antibacterial and cleansing properties. These can work well with people who have oily skin, acne, blemishes, etc. Tea tree oil is known to be suitable for almost all skin types. Its rich, creamy lather leaves the skin feeling clean and refreshed – with no traces of chemical or soap residue. Prepared creams that contain tea tree oil as its main ingredient is an effective cream to make the skin moisturized and cleansed at the same time. Some preparations are combined with other natural ingredients like Vitamin E, aloe vera, lavender, sweet almond oil, ginseng, chamomile, etc. Most antiseptic creams that contain tea tree oil are usually suitable for all skin types. It also has cooling and soothing properties that can also make the cream an ideal after-shave cream. If you are pregnant, breastfeeding or under certain medications, it is highly advised that you consult your doctor first before using tea tree essential oil. Do not use tea tree oil without knowing the right dosage to avoid adverse side effects. Always remember that just like any other essential oil, tea tree is best used diluted rather than undiluted because there may be instances when its level becomes too harsh for sensitive skin. The tea tree oil benefits are innumerable. Knowing about tea tree essential oil benefits and uses will surely help you in thinking of ways to cure not only your medical problems but your household and pet problems as well.